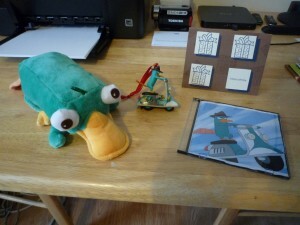 This morning a parcel arrived from my friend Tam, who lives across the pond. 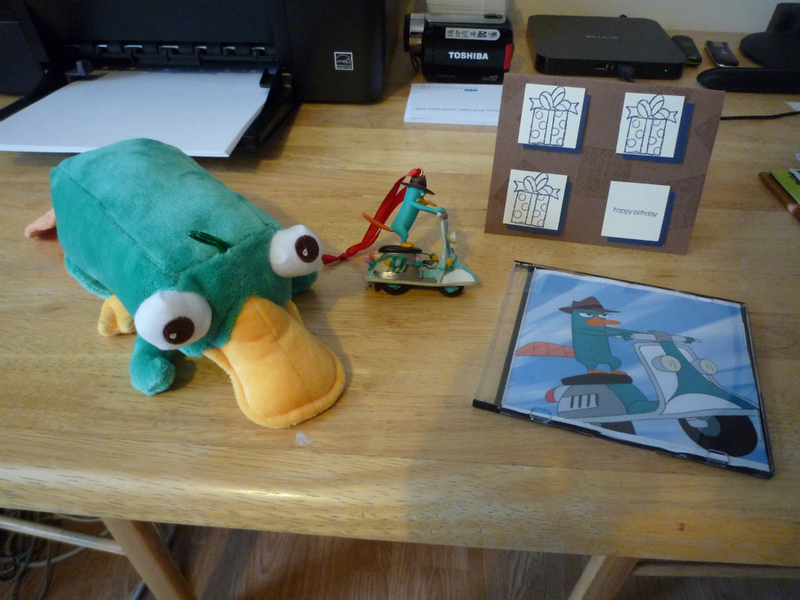 We have a standing joke about me being a duck-billed platypus (don’t ask), so I wasn’t too surprised to find that the box contained a number of platypus-related items – a plush platypus, a Perry the Platypus Xmas ornament, a CD containing music from Perry the Platypus and a card. Apart from being deeply grateful for the gifts, it really helped to lift my mood to receive them. Thanks, Tam.